IT Companies in NJ need a great web presence. 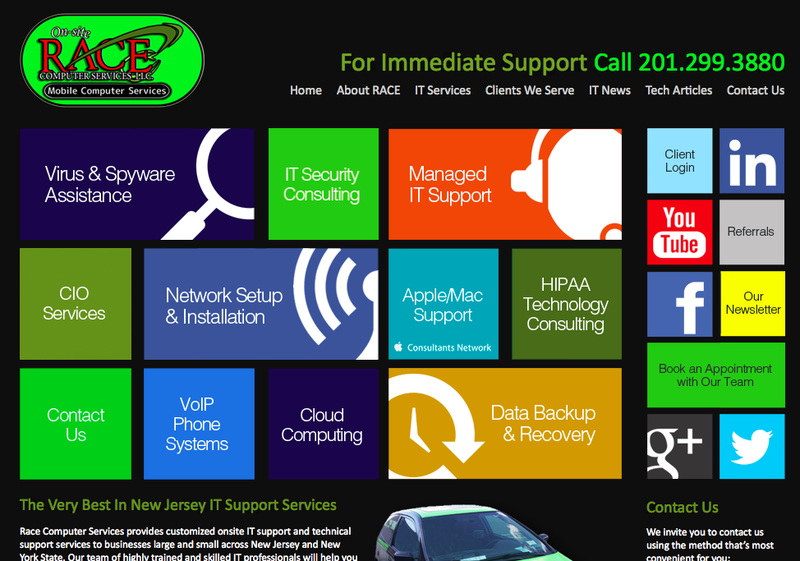 When one NJ IT company needed a new web identity for its managed services business in New Jersey. Race Computers does an amazing job taking care of their clients across the state and into New York City however, their website wasn’t doing the job for them. They needed something more, something that could clearly identify what their managed services business was all about. Richard Race, President and CEO of Race Computers attended the Ulistic MSP Marketing and Sales workshop in Newark this past summer and obtained an appreciation for marketing done right. Not slick or used-car salesman like marketing many MSPs attempt to replicate, but great marketing that speaks to his target prospect. Ulistic delivered a modern MSP website for Richard and his team. They pay $497 per month and now have an amazing web presence. Is your MSP looking to create a culture of professionalism online? Contact Ulistic today and learn more about our $497 website package today. We can be reached at 716.799.1999 x102 or use the form to the right.